Photo gifts: Bring them back this Christmas. We’re calling it: It’s time to bring back the photo album. 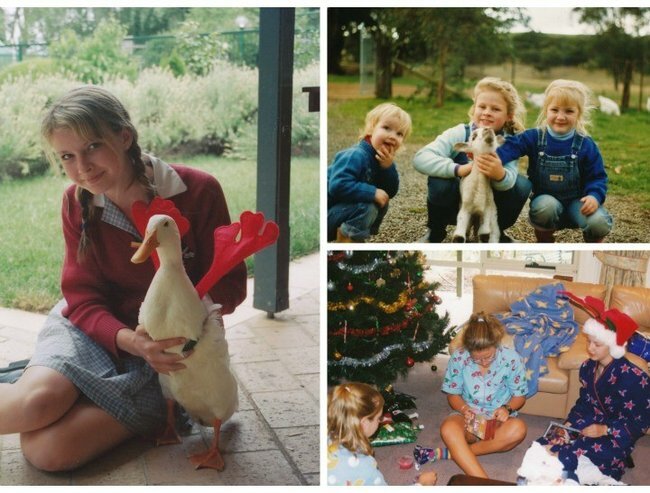 One of my favourite memories as a kid is being at my grandparent’s farm and going through their old photos. There were heaps of them, with hundreds pictures of my dad, aunties and uncles growing up. Every memorable moment was documented in an album with captions written on the back of each photo and a date listed next to it. These were the definition of captured memories. It’s the main way that I learnt about my family. About the funny things dad did when he was little and I’d find myself asking my grandma questions about their travels. There were albums filled with family Christmas’ from the 70s, pictures of my uncle with long hair and my dad when he actually had hair. One specific photo I remember most was of mum and dad at a Christmas barbeque — it was one of the first times he’d brought mum to meet his family and friends. They were standing together smiling, mum was wearing tight jeans and a midriff and whenever we saw the photo we’d ask dad about it. It was a scandalous outfit at the time but he would recount how jealous all of his friends were. 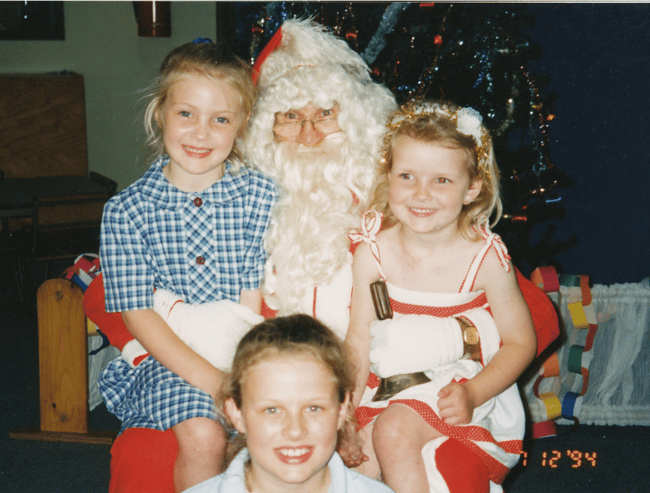 Not the scandalous outfit in question, but proof of the Solly’s love for Christmas. Image: Supplied. 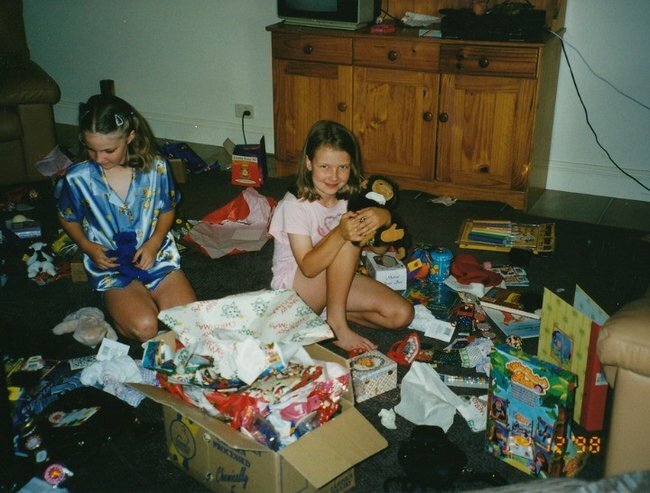 Growing up we had dress up boxes full of mum’s and grandma’s old clothes, one of my favourite things to do was find the outfits in our grandma’s photo albums and align them with events our family had been to. The weddings, Christmas’, birthday parties, engagement parties, dress up parties—they were all documented and we got to feel like we were a part of it. My childhood was documented in the same way. At my parent’s house there’s a cupboard full of photos that we can go back to. There are albums all of our family holidays, for every special event and for each year of our lives. Then of course there is the box of photos that don’t really have a specific category but are still kept so we can reminisce. Along with the amazing memories, come the awkward memories—for me that was in year eight when I thought it was a really great idea to cut myself a fringe. There is a good portion of the 2004 album where a small amount of hair is just popping out from my forehead. It is refreshing to be able to look back on this and know I’ve come a long way since then, I hope. I was 15 when everyone made the switch to digital cameras and camera phones, and in some ways it’s such a shame. Both of my older sisters have photos developed from their school formals and 18th birthday parties, those significant moments that you want kept. But a lot of my school photos ended up on a hard drive somewhere, with the occasional one popping up on social media— it’s just not the same. “A lot of my school photos ended up on a hard drive somewhere, with the occasional one popping up on social media— it’s just not the same.” Image: Supplied. KODAK MOMENTS have cottoned on to the loss of important memories with everything going digital and they’ve developed the KODAK MOMENTS App. Wherever you are, you can order prints on the go using photos from your smartphone to get them delivered to your home. You can also use the KODAK MOMENTS App to find your closest KODAK Picture Kiosk and to connect to a KODAK Picture Kiosk in store to easily and wirelessly transfer photos from your smartphone to use for a number of photo products. The KODAK MOMENTS App allows you to access photos direct from Facebook and Instagram so you are able to use photos that you’re already tagged in, plus the ones on your own account to print easily and effortlessly. The app also lets you crop and edit photos with different filters and collage styles. The KODAK MOMENTS App gives you the option of printing traditional sized prints, square prints, collages and photobooks allowing you to share your favourite memories with your loved ones whilst getting it delivered to your home or sent to family and friends as gifts. ‘Chuffed with her present Kath’ is an excellent gift to receive if we do say so ourselves. Image: Supplied. It’s bringing back the physical copies of memories that we should have never lost in the first place. One day I will be able to show my kids just like my parents did for me. I want them to sit down in the living room and laugh at the clothes we wore or the crazy hairstyles we had, I want them to be able to be a part of my history like I feel like I am with my parents. After years of lost photos it feels really good to know that a simple solution has been found to restore the family photo album in a sense. And just in time to get all the Christmas shopping done. 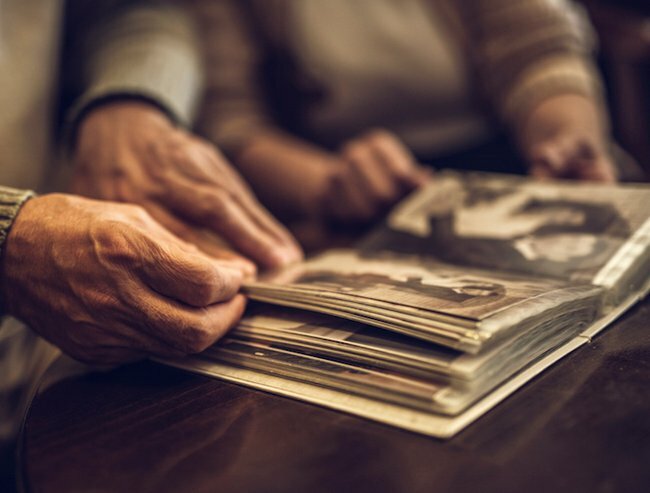 How do you share photos and memories?